Paul Jackson, Jr. is a accomplished composer, arranger, producer, and guitarist. Born and raised in Los Angeles into a musical family, Jackson majored in music at the University of Southern California and became Artist in Residence at the USC Thornton School of Music in 2016. Jackson was one of the most prolific R&B guitarists of the 1970’s and 80’s, performing with artists such as Michael Jackson, the Temptations, Luther Vandross, Bobby Womack, Patrice Rushen, the Pointer Sisters, Chicago, and Whitney Houston, among many others. 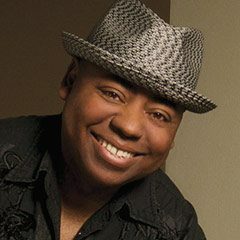 An accomplished recording artist in his own right, Jackson’s 1988 album I Came to Play was nominated for a GRAMMY Award. More recently, Jackson has performed on the soundtracks for “Get On Up,” “Zootopia,” and “The Color Purple,” played with the house bands on NBC’s “Tonight Show With Jay Leno” and Fox’s “American Idol,” and earned GRAMMY recognition for his contributions to the Daft Punk album.